This winter we put together a romantic sunset engagement session on the lake for Sydney and Kevin. 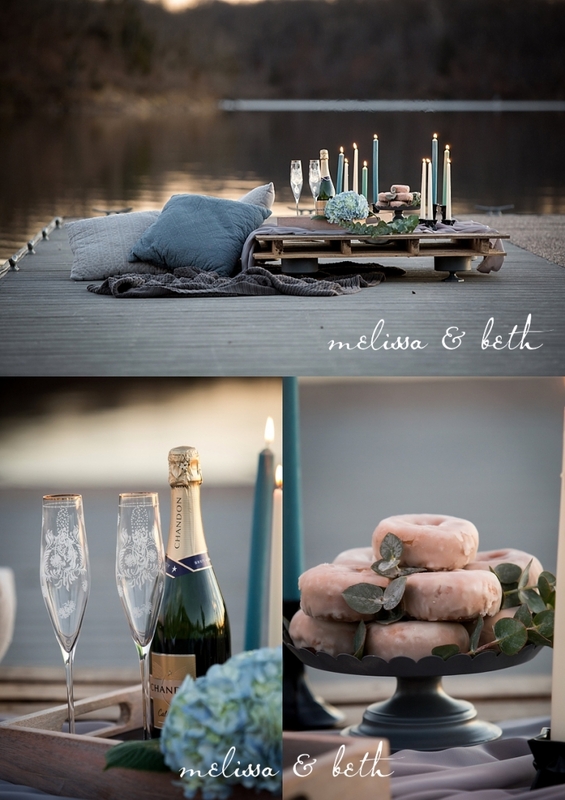 It turned out to be an unusually warm day for January, and the way the sun set slowly over the horizon set the perfect mood for our little picnic on the dock complete with fresh blooms, champagne, and a donut cake! We took a little stroll around the lake and decided to take a little hike down to the edge of the water, and we made a little magic. Love these dreamy photos! Show these two some love by leaving a comment below for them! We offer engagement sessions in Kansas, Colorado, and we also offer travel and destination packages for engagements. If you are interested in booking an engagement session with us, send us a note on our CONTACT PAGE!